Meathead Movers is proud to serve you and your family by hiring local student-athletes for our crews of Tracy movers. Our professionally trained staff and our moving concierge is here to serve your every moving need. Whether you are packing up your Tracy home or planning your initial move to the area, our Tracy movers are prepared exceed your expectations. Located at the triangular intersection of Interstates 205, 5, and 580, Tracy is one of San Joaquin Valley’s friendliest towns, and our local student-athletes are here to prove it. Those who are moving to Tracy will find a welcoming and vibrant community where small-town hospitality is still valued. 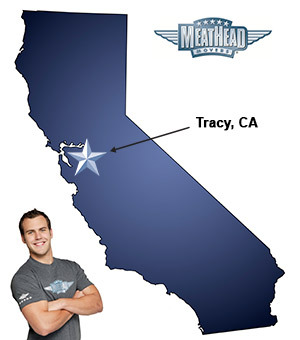 If you are considering a move to Tracy, Meathead Movers is the company for you! Tracy’s motto is “Think Inside the Triangle”, and it’s no secret that business leaders in the city do exactly that. Residents and visitors alike will find that merchants are always happy to greet them and help them find what they need. One of the most popular shopping districts in the city is Downtown Tracy, where locally owned boutiques and restaurants offer the best in California crafts, merchandise, and food. The arts are also valued in Tracy especially at the Grand Theatre Center for the Arts. Families can catch concerts, plays, and other special events at the local theater on a weekly basis. The city also boasts an annual Taste of Valley Art & Food Festival which takes place in September. Other festivals throughout the year provide space for community members to connect and enjoy each other’s company. If you are preparing for your next move, our Tracy movers are here to help. Our moving company specializes in local, long-distance, and commercial moves to, from, and within Tracy. We also provide reliable packing, storage, on-site relocations, and our distinctive moving concierge service. At Meathead Movers, we are proud to take the stress out of the moving process by helping you get settled in your home. Our clean-cut moving crews are composed of student athletes who make the most of your time by jogging when they are not carrying your possessions. We can help you plan for your move with our comprehensive moving concierge services that connect you to the utilities and service providers you’ll rely on in your new home. We also offer a 100% satisfaction guarantee and ensure that the same movers will be with you at your point of origin and your destination. If you’re moving to or from Tracy, it’s essential to work with a trusted moving team. At Meathead Movers, we’re proud to be your Tracy movers of choice. Fill out our online form to get your free no-obligation moving quote. They were prompt and attentive. And kept checking in throughout the move. All three young men (movers) were professional and respectful! And they made it happen in 4.5 hrs!! I would use them again and recommend Meathead Movers to friends and family! The young men are very professional, knowledgeable, and caring. I appreciated how efficient and professional everyone was. They all, took special care with everything we had them move; especially our experience items. The whole team worked really well together and encouraged eachother as the day got longer and it got hotter. We would recommend Meathead Movers to anyone who’s planning a move. As well as ourselves, when we’re in the need of moving. Thank you to everyone on the team, we appreciate you all. I will NEVER rent a truck and move myself again. Meat head is the best find ever! It was the best experience ever. I had Everything boxed and ready. The guys loaded in less than a hour and the same unloading. I could unpack while they placed every item where I asked. No damage no sweat! I liked everything thing about your services. The young men that came out were fabulous... They were very meticulous, even on stuff I didn't care if it was wrapped. They wrapped it anyway.. They were gems!!! !